During the offseason, Adeiny returned to his native Cuba for the first time since defecting to pursue his baseball career in 2009-a nine-year wait…he was thrilled to see much of his family and friends for the first time in so long... In 2009, Adeiny and 11 others struck a deal to escape from Cuba by boat and come to the U.S. via Mexico…when he reached the majors with Toronto in 2012, he received guidance from former Rays shortstop and fellow Cuban defector Yunel Escobar…the two were later traded in the same deal to the Marlins... Adeiny is held in high regard as a local baseball hero by the residents of Santiago de Cuba… moved by the poverty and, in particular, a lack of shoes, he sent the community $15,000 worth of Adidas footwear over the offseason... While visiting Cuba, a video posted on his Instagram account (@adeiny11) showed him barbequing a pig on a spit over an open flame, a first-time experience for him... Adeiny's favorite players growing up were Derek Jeter and Germán Mesa, a Cuban shortstop nicknamed El Imán, or "The Magnet," for his fielding abilities. Veteran shortstop was acquired by the Rays on June 26 and joined the team the next day in Pittsburgh…appeared in 77 games for the Rays, including 74 starts at shortstop…his combined 8 HR were a career high despite only 330 AB... Achieved a .987 fielding pct. after joining the Rays, with only 4 errors in 298 chances…this ranked 3rd among major league shortstops from June 26 on, behind PHI Freddy Galvis (.994) and DET José Iglesias (.989)…prior to his arrival, Rays shortstops ranked 14th of 15 AL teams with a .959 fielding pct... Did not commit an error after July 30 at NYY, finishing the season on streaks of 51 errorless games and 179 errorless chances (all as a shortstop)…according to Stats LLC, these both rank 3rd in Rays history for a shortstop…in 2013, Yunel Escobar compiled errorless streaks of 53 games and 232 chances, and in 2002, Chris Gomez posted errorless streaks of 52 games and 242 chances…he was the only qualifying shortstop in baseball who was errorless from the start of August through season's end... From Aug 15 through season's end, hit .299/.345/ .560 (40-for-134) with 19 XBH (9-2B, 4-3B, 6-HR) in 39 games…over this span, ranked 3rd among AL shortstops in avg. and 2nd in slugging pct. behind CLE Francisco Lindor (.598)…prior to that, he hit .214/.230/.260 (28-for-131) with 4 XBH (3-2B, 1-HR) in his first 38 games for the Rays… this stretch raised his season avg. from .235 to .261…was homerless in his first 33 games with the Rays; all 7 HR with the club came over his last 44 games beginning Aug 9... Is the only player in baseball with at least 5 3B in each of the past five seasons…his 35 3B over this span (since 2013) rank 2nd in the majors, one shy of former Marlins teammate Dee Gordon (36)... Was the Marlins Opening Day shortstop for a fifth straight year and played 20 games (17 starts) for them before being sidelined with a left oblique strain on May 9…appeared in 9 rehab games for the Marlins before the trade... On June 27 at PIT, was reinstated from the 10-day DL to make his Rays debut and the first ground ball hit to him was a diving stop and throw to retire Josh Bell in the 2nd inning… logged 2 RBI, coming on an RBI single in the 8th inning and a sac fly in the 10th... Twice for the Rays he recorded a game-tying hit with 2 outs in the 9th inning, the first Ray to do this twice in a season since Evan Longoria in 2010…on June 30 at BAL, his RBI single off Brad Brach tied the game 3-3 en route to a 6-4, 10-inning win…on July 18 at OAK, his RBI single off Santiago Casilla tied it 3-3 and the Rays won 4-3…prior to the trade, he had one game-tying hit in the 9th inning or later in 640 career games: on July 28, 2014 vs. WAS with the Marlins, a triple off Rafael Soriano in the 9th... Also on June 30 at BAL, tied his career high with 4 hits (6th time, last April 30, 2016 at MIL)…was the first Ray with 4 hits out of the No. 9 spot in the batting order since Kevin Kiermaier on July 9, 2014 vs. KC... On Aug 20 vs. SEA, tripled and homered to tie his career high with 7 total bases (3rd time, first since April 30, 2016 at MIL)... On Sep 12 vs. NYY, hit a go-ahead solo homer in the 8th inning off Sonny Gray for a 2-1 win... Became the 10th Cuban-born player in Rays history and the fourth born outside of Havana (Santiago), joining Rolando Arrojo (Santa Clara), Danys Báez (Pinar del Rio) and Alexei Ramírez (Pinar del Rio). In fourth season with Miami, hit .236 (120x508) with three home runs and 38 RBI over 155 games. His 155 games played marked a career high and tied Christian Yelich for tops on team...Also tied for team lead in triples (6) with Marcell Ozuna and Dee Gordon...Struck out once every 7.49 at-bats, best rate of career, ahead of 6.67 in 2014...Had slow start to season, recording just 12 hits in 21 games prior to April 30. In final day of April, tied career high with four hits at Milwaukee, including a home run...Doubled twice on April 6 vs. Detroit, marking first career game with two doubles. Also had two-double game on May 16 at Philadelphia...Connected for first home run of season on April 16 vs. Atlanta...From April 30 to May 26, hit .318 (27x85) with nine of his 31 total multi-hit games...Led off for first time of season (29th career) on May 26 at Tampa Bay; homered in second inning, his first career homer from leadoff spot...Recorded season-high four RBI on June 13 at San Diego, going 2x5 with two runs scored, a double and a triple...Hit in season-best eight consecutive games from July 30-August 7, hitting .367 (11x30) over streak. Was named the Jeff Conine Mr. Marlin award winner by the South Florida chapter of the Baseball Writers Association of America; he was also a Rawlings® Gold Glove award finalist among National League shortstops for the second consecutive season... Recorded career bests in average (.281), runs (54), home runs (5), and RBI (48)...Ranked third in the Majors in DEF rating (21.6), behind Kevin Kiermaier (32.0) and Andrelton Simmons (23.9). - Fangraphs...Led NL shortstops in average (.281) and ranked sixth in hits (132)...Missed final 28 games due to left hamstring tightness... Began season by winning first career weekly award, earning NL Player of the Week honors for April 20-26. Batted .500 (12x24) with a double, a triple, a home run, and 10 RBI over that span...Batted .321 in April, the second-best monthly average of his career (min. 86 PA), behind a .324 mark in July 2013. Also, recorded a .303 average in August, good for third-best monthly average of career...Owned .305 AVG (94x308) when batting eighth, good for third in MLB; his 94 hits and 38 RBI from the eighth spot led the Majors...Had five games with three-plus RBI; had four such games for his career entering the season...Recorded first career walk-off hit on August 2 vs. San Diego, a three-run homer...On June 7 at Colorado, hit first career extra-inning home run (10th inning) to give Miami a 3-2 victory...Hit fourth home run of season on June 25 vs. St. Louis, marking new single-season high. Completed campaign ranking third among all rookies in hits (123), trailing only Nolan Arenado (130) and J.B. Shuck (128). Was only rookie to reach 500 AB (543)... Only fifth rookie in Club history to record two grand slams, and only rookie to hit two GS in Majors in 2013... Hit first GS on May 5 at Philadelphia, and second on Sept. 4 at Cubs... On May 5 at Philadelphia, tied Club record (fourth time) for RBI in a single game, with seven. Had a bases-loaded triple in first inning to go with grand slam in third inning... Set a new National League record for RBI in a game by a Cuban player, and was one short of tying Jose Canseco's MLB record (6/13/94 at Seattle for Texas)... Owned 11 RBI with bases loaded, which tied Brad Miller and J.B. Shuck for third among rookies, behind Evan Gattis (15) and Wil Myers (12)... Led all rookies in triples (eight), and tied Alex Gonzalez (1999) for second-most in a rookie campaign in Club history, behind Hanley Ramirez (11 in 2006)... Finished season ranked seventh among National League shortstops in fielding percentage (.976; 613 TC/15 E)... Hit .324 in July, which ranked 14th in NL... Had career-best 11-game hitting streak from July 1-12, batting .442 (19x43) with four doubles and four RBI. Was third-best average in Majors over that span, behind Adrian Beltre and Kyle Seager (.452 each)... Had 15-day stint on disabled list from April 18 (retro to April 17) through May 2 with a right elbow contusion. Split third professional season between Triple-A Las Vegas and Toronto, combining to hit .299 (170-for-569) with 88 runs scored, 28 doubles, six triples, eight home runs and 78 RBIs in 143 games...Began season with 51's, posting a six-game hitting streak, with five multihit games, batting .464 (13-for-28)...Of 78 games with at least one hit, 43 were multihit efforts...Recorded season-high four hits on April 20 at Salt Lake...Drove in season-best four runs on April 30 at Reno, going 2-for-4 with two runs and a home run...Equaled high on May 25 at Salt Lake in 2-for-5 effort...Two of six home runs with 51's came on July 2 at Reno, finishing day 3-for-5 with two runs, two home runs and two RBIs...Strung together 12-game hitting streak from June 5-20, batting .418 (23-for-55) with 13 runs scored, three doubles, one triple and nine RBIs...Scored at least one run in first eight games of streak, while recording eight games with two or more hits...Earned big league promotion on Aug. 4 and made ML debut that night at Oakland, going 0-for-3 with a walk...Appeared in 41 games in rookie season, splitting time at second base, third base and shortstop...Started 18 games at third, 13 at shortstop and eight at second...Collected first Major League hit on Aug. 7 at Tampa Bay off James Shields and recorded first home run on Aug. 28 at Yankees off Phil Hughes...In first 12 games collected only five hits in 32 at-bats for a .156 average, but turned around and hit .287 (27-for-94) over final 29 contests...Had 10-game hitting streak from Sept. 16-29, going 11-for-32 for a .344 average...In September, collected at least one hit in 20 of 22 contests and hit safely in 25 of final 29 games with an at-bat. Spent the majority of the season in New Hampshire (AA) before moving to Las Vegas (AAA) to close out the campaign... MAKING AN IMPACT: Was named as the Best Defensive Shortstop in the Eastern League by league managers in a Baseball America poll... Made just 11 errors in 428 chances for a .974 fielding percentage... Earned a Mid Season and Post Season All-Star selections... BIG SPLITS: In New Hampshire batted .305 with an .887 OPS vs. left-handed picthing, however dropped to a .207 average with a .517 OPS vs. right-handed pitching... BIG CITY, BRIGHT LIGHTS: In his final 13 games at New Hampshire batted .375 (21-56) prior to being promoted to Las Vegas... Continued to hit upon his arrival in Vegas, posting a .389 average in his 25 games with the 51s... Collected hits in 22 of his 25 games, with 16 multi-hit efforts, including his first seven contests and nine out of 10.... Did most of his damage away from Las Vegas, batting .431 (31-72) with seven of his 10 extra base hits... FALL BALL: Played in the Arizoana Fall League, posting a .250 average with three doubles, four triples, one home run and eight RBI. In his first professional season in North America, split time between Dunedin (A) and New Hampshire (AA)... DEBUT: Made his professional debut Apr. 25 at CLR as a pinch hitter and finished the game playing shortstop going 1-for-3 on the day... Recorded a hit in his first six contests and 15 of his first 17 games... STEPPIN' IT UP: Was promoted to New Hampshire (AA) June 28th and went on to hit .273 with the Fisher Cats with 11 doubles, a triple and three home runs in 61 games... Posted five, three-hit games and one, four-hit game in New Hampshire... Was sent to play in the Arizona Fall League but after two games he was shutdown for the season due to hamstring tightness. February 18, 2019 New York Mets signed free agent SS Adeiny Hechavarria to a minor league contract and invited him to spring training. 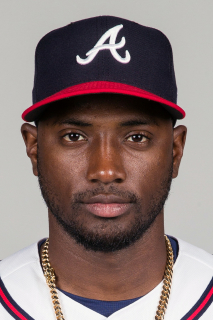 February 18, 2019 SS Adeiny Hechavarria assigned to Syracuse Mets. October 29, 2018 SS Adeiny Hechavarria elected free agency. September 1, 2018 New York Yankees activated SS Adeiny Hechavarria. August 31, 2018 Pittsburgh Pirates traded cash and SS Adeiny Hechavarria to New York Yankees for Future Considerations. August 7, 2018 Pittsburgh Pirates activated SS Adeiny Hechavarria. August 6, 2018 Tampa Bay Rays traded SS Adeiny Hechavarria and cash to Pittsburgh Pirates for RHP Matt Seelinger. August 1, 2018 Tampa Bay Rays designated SS Adeiny Hechavarria for assignment. June 17, 2018 Tampa Bay Rays activated SS Adeiny Hechavarria from the 10-day disabled list. June 15, 2018 Tampa Bay Rays sent SS Adeiny Hechavarria on a rehab assignment to Durham Bulls. June 11, 2018 Tampa Bay Rays sent SS Adeiny Hechavarria on a rehab assignment to Charlotte Stone Crabs. May 19, 2018 Tampa Bay Rays placed SS Adeiny Hechavarria on the 10-day disabled list retroactive to May 18, 2018. Right hamstring strain. June 27, 2017 Tampa Bay Rays activated SS Adeiny Hechavarria from the 10-day disabled list. June 26, 2017 Miami Marlins traded SS Adeiny Hechavarria to Tampa Bay Rays for CF Braxton Lee and RHP Ethan Clark. June 19, 2017 Miami Marlins sent SS Adeiny Hechavarria on a rehab assignment to Jupiter Hammerheads. June 16, 2017 Miami Marlins sent SS Adeiny Hechavarria on a rehab assignment to Jacksonville Jumbo Shrimp. May 10, 2017 Miami Marlins placed SS Adeiny Hechavarria on the 10-day disabled list. Right oblique strain. April 20, 2017 Miami Marlins activated SS Adeiny Hechavarria from the 10-day disabled list. April 18, 2017 Miami Marlins sent SS Adeiny Hechavarria on a rehab assignment to Jacksonville Jumbo Shrimp. April 17, 2017 Miami Marlins sent SS Adeiny Hechavarria on a rehab assignment to Jupiter Hammerheads. April 9, 2017 Miami Marlins placed SS Adeiny Hechavarria on the 10-day disabled list. Left oblique strain. July 6, 2014 Miami Marlins activated SS Adeiny Hechavarria from the 15-day disabled list. July 4, 2014 Miami Marlins sent SS Adeiny Hechavarria on a rehab assignment to Jupiter Hammerheads. May 2, 2013 Miami Marlins activated SS Adeiny Hechavarria from the 15-day disabled list. April 29, 2013 Miami Marlins sent SS Adeiny Hechavarria on a rehab assignment to Jupiter Hammerheads. April 18, 2013 Miami Marlins placed SS Adeiny Hechavarria on the 15-day disabled list retroactive to April 17, 2013. Right elbow contusion. August 26, 2012 Toronto Blue Jays recalled Adeiny Hechavarria from Las Vegas 51s. August 25, 2012 Toronto Blue Jays optioned SS Adeiny Hechavarria to Las Vegas 51s. August 4, 2012 Toronto Blue Jays recalled Adeiny Hechavarria from Las Vegas 51s. March 14, 2012 Toronto Blue Jays optioned Adeiny Hechavarria to Las Vegas 51s. September 29, 2011 Adeiny Hechavarria roster status changed by Toronto Blue Jays. August 11, 2011 SS Adeiny Hechavarria assigned to Las Vegas 51s from New Hampshire Fisher Cats. March 13, 2011 Toronto Blue Jays optioned Adeiny Hechavarria to New Hampshire Fisher Cats. October 13, 2010 Adeiny Hechavarria roster status changed by Toronto Blue Jays. August 31, 2010 Adeiny Hechavarria assigned to Peoria Javelinas. June 30, 2010 Adeiny Hechavarria assigned to New Hampshire Fisher Cats from Dunedin Blue Jays. May 14, 2010 Adeiny Hechavarria roster status changed by Dunedin Blue Jays. April 13, 2010 Toronto Blue Jays signed free agent SS Adeiny Hechavarria. April 13, 2010 Toronto Blue Jays optioned SS Adeiny Hechavarria to Dunedin Blue Jays. April 13, 2010 Adeiny Hechavarria assigned to Dunedin Blue Jays from Toronto Blue Jays.